Minister Bruno Le Maire spoke to RTL Radio on Wednesday about the French government's intention to fight both Apple and Google in court, reports Bloomberg. Le Maire claims that when developers and "sell" them to Google and Apple, "their prices are imposed, Google and Apple take all their data, Google and Apple can unilaterally rewrite their contracts." "All that is unacceptable and it's not the economy that we want," continued the minister. "They can't treat our startups and developers the way they do." Le Maire's office advises an investigation by the ministry's fraud office found there were "significant imbalances" in the relationship between developers who create the apps and the companies operating the app stores, between 2015 and 2017. A similar investigation into Amazon conducted by the Finance Ministry last year suggests the fine would be in the low millions. Currently under review by a tribunal, the Finance Ministry is looking to fine Amazon 10 million euros ($12.4 million) over the matter. AppleInsider has contacted Apple about the minister's comments, but has yet to receive a response. The relationship between Apple and France has become turbulent in recent months. 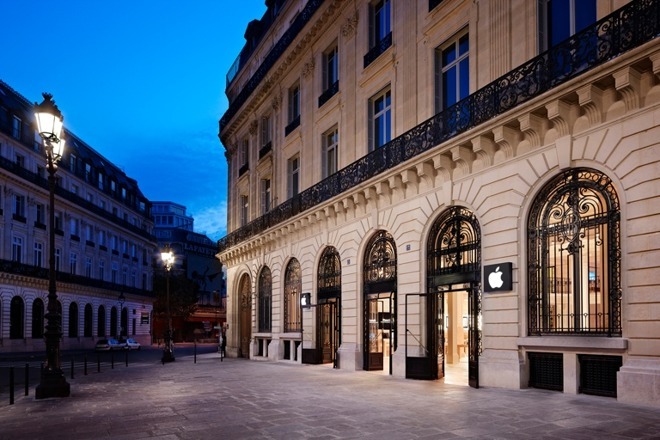 In February, a Parisian court blocked an attempt by Apple to stop the protest group Attac from staging demonstrations concerning Apple's tax affairs in the iPhone maker's retail outlets in the country. In January, the French government was reported as investigating claims that Apple's battery management software that slows down iPhones with worn batteries is a form of planned obsolescence.